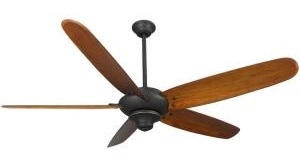 This is the summary of consumer reviews for Westinghouse 78108 Petite 6-Blade 30-Inch 3-Speed Hugger-Style Ceiling Fan with Light. The BoolPool rating for this product is Good, with 3.80 stars, and the price range is $53.99-$83.09. 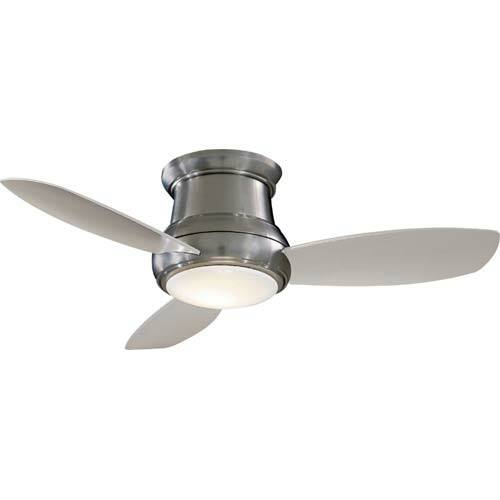 Westinghouse 78108 Petite 6-Blade 30-Inch 3-Speed Hugger-Style Ceiling Fan is a stylish compact fan for smaller-size rooms up to 80 square feet. It is available in white with reversible white/whitewashed pine blades. 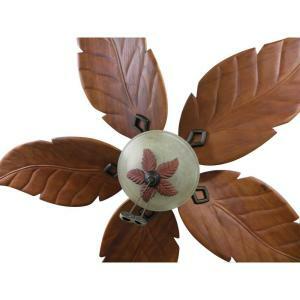 It is also available in antique brass with reversible walnut/oak blades. The blades are constructed of MDF and have an 18-degree pitch. It measures 30 inches in diameter by 12 inches tall. 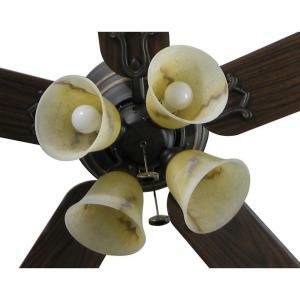 This petite ceiling fan includes a single light fixture with light-diffusing opal mushroom glass that operates on one candelabra-base. A 12-inch lead wire, light kit, matching pull chain, and installation hardware are included, and the unit can be adapted for use with a dimmer switch if desired. It features a whisper-quiet motor with a three-speed reversible switch that allows for customizing air movement. It allows for maximum energy savings as well as comfort throughout the four seasons. 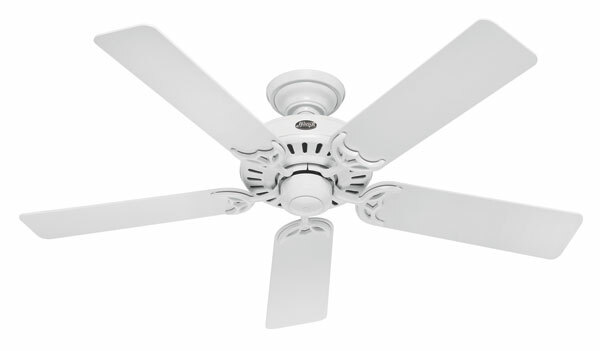 The reversible switch allows the ceiling fans to be used during cool or warm weather. In the summer, you can keep your home cool by running your ceiling fan counterclockwise. In the winter, you can run your ceiling fan clockwise to re-circulate warm air from the ceiling and eliminate cold spots and drafts. Users have mentioned that the Westinghouse petite generates the ample air flow in small kitchen and bedroom or guest rooms. Some reviewers have pointed out that the light fixture is a single bulb that you cannot get too much light out , or replace it with a brighter CFL because the glass is too small and it is candelabra style bulb base. 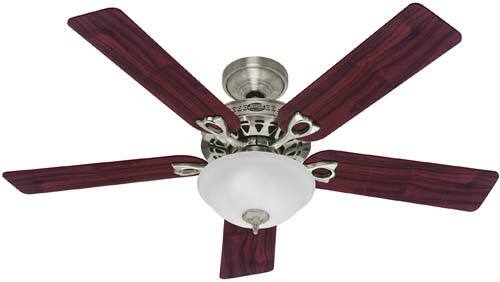 All in all, this 30-inch ceiling fan accommodates low ceilings and smaller size rooms perfectly. The air flow with the tiny blades works well and moves a lot of air for its size. The shorter blades fit better and the 2 extra blades give as much if not more breeze. Even it's 30' petite, this fan generates the ample air flow because fan blades are. This little blade fan is the best! This replaced a 4 blade fan near our stairs. I've another small 6 blade and it really gives cool air. The air flow is to be expected with such tiny blades-unless you're directly under it, there's not much air flow. It doens't give off the air I thought it'd for a 6 blade. The brass motor shroud and the light wood blades look great and match our bathroom's existing fixtures very well. The other annoying thing is that it uses "candelabra style" bulbs, not regular sized based bulbs. It's a perfect fit for that size room. They're basically the standard "twisty" 100-watt CFL bulbs but with a candelabra base. It's limited to one 60-watt incandescent candelabra bulb. The fan is fine, but the light fixture only takes an irregular size bulb. However; no where does it tell you what size bulb is needed. For the price of this,they could have,at least, included the bulb,since it's a special size. The only thing I'll advise, the light fixture requires a mini bulb with the little bitty fixture- you can't put a regular 60 watt or compact spiral bulb in it or the glass cover won't attach. The fan is small but does the job, the light is a candlelabra style light which has a very small base and is hard to find a light bulb to fit, not much light given off th 60 watt bulb. This's a very small fan that doesn't take the standard bulb; this lighting feature to this fan takes chandelier bulbs for it to work. It looks nice, was easy to install, is quiet and works well. looks great works well quite good price.Hugger is good for low ceilings,I'm so happy I got it,I looked never found a good one at this price. Looks good, works pretty well for such a small fan. This ceiling fan looks so beautiful in our bedroom. These are great fans with a clasic look. Looked like it belonged in a doll house. I looked a long time to find 30in fans. They look great and aren't noisy at all. Bought through Amazon so I hope the replacement costs of $0 is right for the replacement. I ordered a replacement on Amazon and the replacement makes so much less noise. 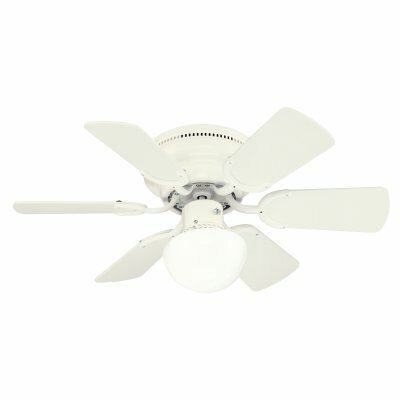 First ceiling fan I've ever had to replace so I ordered this one based on the reviews. However, the mushroom glass light fixture came in broken, and I can't find anywhere on amazon's website to just request a replacement fixture. I bought this ceiling fan to replace a noisy Hampton Bay fan in our office. The motor itself (even completely isolated from any mounting hardware) has a serious hum and rattle that's worst on the lowest speed. The motor had a loud humm when running, the lamp socket is a miniature base with very limited CFL choices, there was annoying vibration noise, and the fan produced very little breeze. The fixture wasn't packaged well at all. They'd UPS pick-up and then deliver a replacement. It helps a lot in circulating the cold air from the air conditioner into the hallway and adjacent small bedroom. It pushes air very well. Still very quiet and moves a lot of air. No more stale air in my bedroom! This compact fan is effective in circulating/cooling the air. While it does move air very well it's extremely noisy. It's whisper quite and moves a lot of air. It's quiet and draws the air from my basement. Not much to say about a fan, it blows air. This little gem was the perfect solution and moves as much, if not more, air than the larger fan.